Crafting a US Response to Turkish Intransigence: Erdoğan has been repositioning Turkey as an adversary of the United States for years……. – The Tundra Tabloids……. Crafting a US Response to Turkish Intransigence: Erdoğan has been repositioning Turkey as an adversary of the United States for years……. Erdoğan has been repositioning Turkey as an adversary of the United States for years. In a rare public policy speech in mid-December, National Security Advisor H.R. McMaster singled out Turkey as one of the two leading state sponsors (alongside Qatar) of “radical Islamist ideology.” The Turkish government protested the statement as “astonishing, baseless and unacceptable,” which means it was a pretty good start. McMaster’s speech highlighted an emerging recognition among Trump administration officials that Recep Tayyip Erdoğan’s Turkey poses a pernicious threat to US interests in the Near East. Since McMaster’s speech, Erdoğan has invaded Afrin, Syria (a city then controlled by America’s Kurdish allies), massacring women, children and the elderly; promoted the use of child soldiers in his fight against the Kurds; and undermined U.S. sanctions against Iran. A Manhattan Federal District Court’s guilty verdict against a Turkish banker accused of helping Iran evade sanctions speaks volumes about the growing threat posed by Erdoğan’s Turkey. Although Erdoğan was not charged in the case, “testimony suggested he had approved the [defendant’s] sanctions-busting scheme” to launder billions of dollars for Iran beginning in 2012, according to the New York Times. That Erdoğan was secretly weakening U.S. sanctions right when Iran was feeling the pinch should come as no surprise. He has been repositioning Turkey as an adversary of the United States for years — covertly aiding ISIS in Syria (before switching sides on a dime to align with Russian forces), overtly embracing Hamas terrorists, flooding Europe with migrants, and hosting an international summit condemning U.S. recognition of Jerusalem as the capital of Israel, to name just a few of the lowlights. While wishful thinkers still hold out hope that U.S.-Turkish relations are strained by short-term concerns and eventually will rebound, a growing chorus of voices led by Daniel Pipes contends that “Erdoğan’s hostile dictatorship” has passed the point of no return and cannot be reconciled with American interests and values. 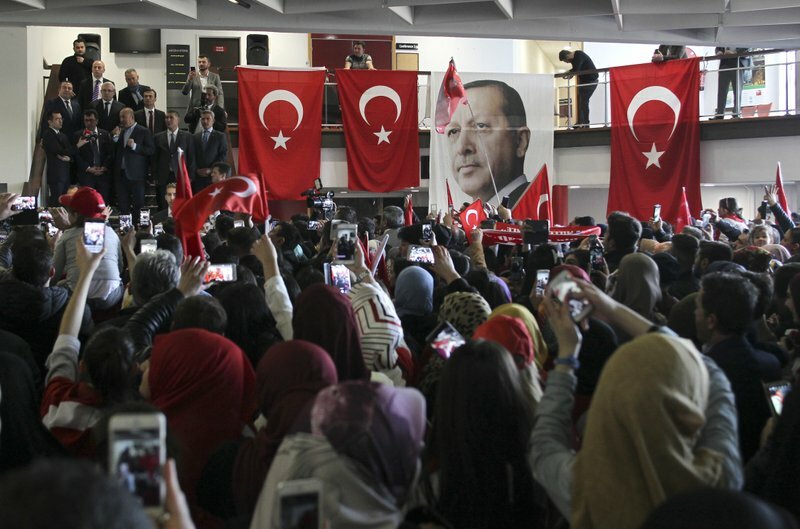 Erdoğan’s increasingly brutal methods of governance, particularly since a July 2016 failed coup against his regime, is wholly unbecoming of a NATO ally. In late December, he issued an emergency decree that effectively legalizes politically-motivated lynching. Why does the United States continue to allow Erdoğan’s malign behavior in the region? And, more importantly, what should policymakers do about it? For Washington, it is time both to up the ante in seeking a course correction from Erdoğan and to prepare for the worst. This path forward should be guided by the following basic principles. Previous Post Previous Post Alan Stein: Purim ponderings, Persia, then and now……. Next Post Next Post London festival for artists who are thinking seriously about freedom, how to preserve it……..